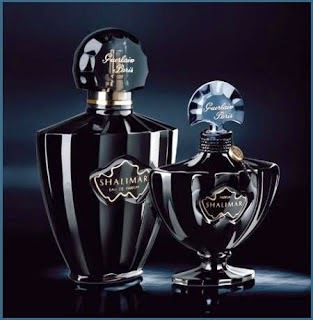 Shalimar 'Black Mystery' by Guerlain: launched in 2007, as limited edition collector's flacons for the Christmas holiday. 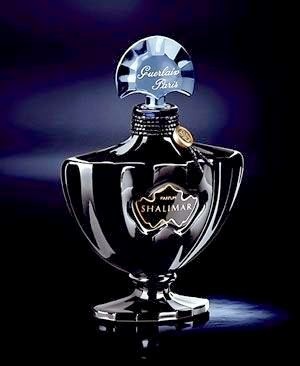 Guerlain housed Shalimar parfum in a black Baccarat crystal flacon and the Shalimar Eau de Parfum in black glass spray bottle. There has not been a change to the formula for either concentration. Among the most prominent and legendary fragrance in history, Shalimar was created as an ode to love. To recapture that magical feeling, Guerlain reinterpreted the Shalimar legend, with a nod to designer Philippe Starck. Much like his famed black crystal Baccarat chandelier, the latest offering from the Shalimar family is a modern rare jewel. Crafted of smoky black crystal with burnished gold accents, the beloved oriental scent of Bergamot, Iris, Vanilla and Amber finds a new home in this mysterious and striking flacon.